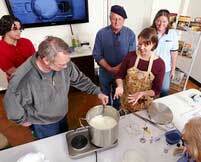 October is American Cheese Month, the month we celebrate the craft of making cheese! To get you in the spirit, we are offering 10% off all cheese making ingredients and hardware, cheese making books, and cheese accessories online. Enter coupon code CHEESEMONTH2013* at checkout to get the discount (for online orders only, to be shipped or in-store pick up). Use the special discount to stock up on cheese cultures for your holiday gift-giving, or check out the new cheese molds we have in stock (see below). We have a few extra special Limited Edition Ports available from Winexpert and RJ Spagnols, including toasted Chocolate Orange, Chocolate Raspberry, Caramel, Coffee, and White Chocolate. Contact us if you are interested in any of these outstanding ports to make for holiday gifts , and let us know if you would like to set up an appointment to make it on site with us at Curds and Wine. Congratulations to Mike Perrone for winning a free bucket of juice from West Coast Grapes in our drawing! 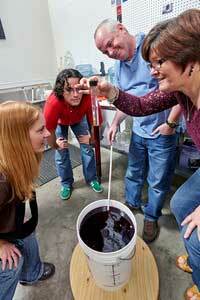 We had an excellent delivery day, we hope you'll join us next year to try your hand at making wine from fresh grapes. Contact us if you are interested in signing up for our 2014 Hands-on Harvest or Grapes to Glass courses. *American Cheese Month discount cannot be combined with other offers or discounts. A little inspiration for American Cheese Month - three new cheese molds are available at Curds and Wine: Baby Gouda, square mold (for taleggio), and rectangular mold (great for feta blocks!). Order online and save 10% through the month of October with the coupon code CHEESEMONTH2013! In association with San Diego Amateur Winemakers' Society, Curds and Wine will be hosting bi-monthly home winemakers' seminars. These seminars are held every even numbered month on the third weekend at 1 pm. Seminars are given by Lum Eisenman, a winemaking guru that we are lucky to have in the San Diego area. Lum will share his expertise on various winemaking techniques and issues. This month Lum will discuss "Wine Faults". 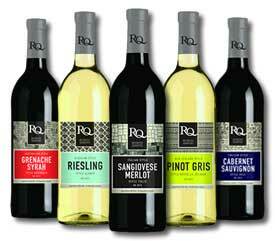 RJ Spagnols Restricted Quantity and Winexpert Limited edition wine kits for 2014 have been announced! We will be taking pre-orders online or at the shop for these amazing wine kits; we do require prepayment to reserve your wine kit. Be sure to reserve yours -- they sell out every year! PREORDERS DUE BY THURSDAY OCTOBER 31ST! PREORDERS DUE BY SUNDAY DECEMBER 8TH! 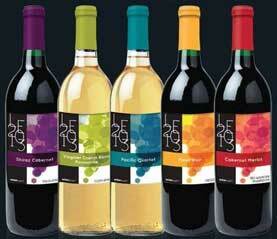 Preorder your wine kits online here. If you prepay a minimum of 5 of any Limited Edition or Restricted Quantity wine kits by October 31st, 2013 we will give you a $25 gift certificate to Curds and Wine, for in-store or online use!